According to Britannica Encyclopaedia "An epic is long narrative poem recounting heroic deeds...” Etymologically, the word ‘epic’ is derived from Greek word ‘epikos’ meaning word, speech or song. It is a short of heroic poetry essentially idealistic in concept and tone. Beowulf dating back to 700 A.D. possesses much of the epic paraphernalia. 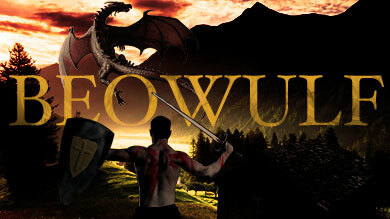 Beowulf, the most important work of Old English literature is characterized as the first great titanic epic. It is a non-Christian work of pre-Christian time. Aristotle lays down that epic poetry should be based on a single action with a beginning, middle and end, and the action should have proper magnitude or greatness. Besides it should embrace war and peace, good and evil in a comprehensive manner. over three generations and part of that of the Heathobards, Frisians, and Frankes. The allusions to old tales harking back to a darker and more pagan past give the poem an epic sweep. An epic must embrace the polarities and clash of good and evil in a comprehensive manner. The epic status of Beowulf is set up by the picture it presents of man’s primeval struggle with evil and his inevitable overthrow in time. Beowulf destroys Grendel and his mother but is himself killed by the fire-breathing dragon. 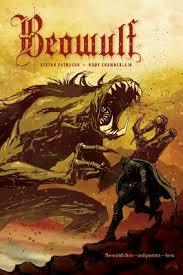 The style of Beowulf conforms to the epical grandeur. It has propulsive power and energy and excels in broad effects. The range of style is also considerable. 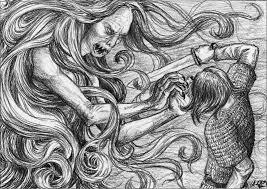 It can “be swift and thrilling” (Gordon) as in the passage describing Beowulf’s struggle with Grendel and his mother. The description of the hall, of the banquet and drunken men adds a barbaric splendour. Supernaturalism is a must-have feature of an every epic. 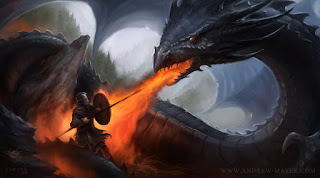 Beowulf features supernatural creatures like Grendel, his mother and the fire-breathing dragon which give the poem an epic flavor. In Beowulf, heroic life is crystallised into generic scenes like voyage, welcome, feast, fight, reward etc. The legacy and customs of Germanic antiquity are described in minute detail. The noble ending of the poem is essentially epical. The poem ends with the burning of Beowulf body and treasures on a funeral pure amid the lamentation of the people. A Monumental borrow was built to perpetuate his memory. However, the notes of stoical resignation and the fatalistic approach also have a stately epic dignity. Some critics feel Beowulf lacks some of the criteria of a true epic. It’s shorter length and lacks of unity of action are highly objectionable. Thus, Beowulf may not satisfy all the characteristics of an epic, but it may certainly be called an epic in an embryonic stage. An eloquent celebration of heroic life and death, the poem has a glorious majesty and an austere splendour typical of the epic.